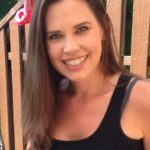 I started in Wealthy Affiliate in 2009, left for a few years when I decided affiliate marketing wasn’t for me, and then returned at the end of 2017 when I realized affiliate marketing has more benefits than downsides. Was coming back to Wealthy Affiliate a good decision? Because I’ve had quite a bit of experience at Wealthy Affiliate, I wanted to give you my honest opinion about this system. Does the platform live up to the hype? Does it do what it says it’s going to do? I’m also going to take you inside and show you what kinds of things are available at Wealthy Affiliate. It’s better when you can see something for yourself so that you have your own personal point of view. I’ll also show you how you can check it out – for free (no strings attached!) – and then you can really see for yourself what it’s all about. It’s good to have that first-hand experience when you have an interest in something. Or, you can create a free account right now to see for yourself and skip over all my mumbo-jumbo! Wealthy Affiliate is a training platform for those seeking to learn all about how to create a profitable affiliate marketing website. The site was started in 2005 by Kyle Loudoun and Carson Lim. They originally started the site as a keyword list delivery service. You could sign up to receive a list of keywords each month. From there, the guys just continued adding and expanding until the site turned into the training platform it is today. I think the history of Wealthy Affiliate is important because it shows that they’re not like one of these “Make $1000 a day while you sleep” kind of programs that will disappear off the face of the earth in a few months. 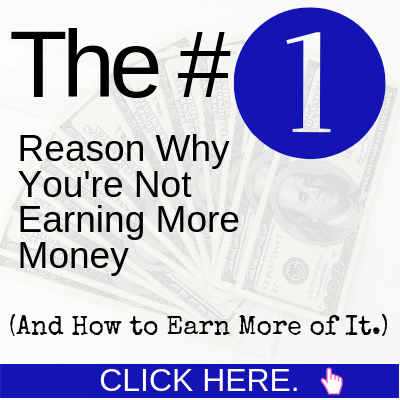 Wealthy Affiliate isn’t about making you rich quick. They’re about teaching you the right way to do things so that you can build a sustainable income over time that will stay with you in the long run. Here’s a fun video I found that gives a nice overview of what they’re about. This website that you’re on, ChristinaPiccoli.com is an affiliate website. I learned how to put all of this together using the training at Wealthy Affiliate. When you say “Hey, I like the sound of Wealthy Affiliate!” and you click on one of the links on this page, I’ll get a commission if you decide to join. That’s what affiliate marketing is in a nutshell. You get paid a commission for recommending products and services that you love! Now, Wealthy Affiliate is not like a lot of affiliate programs out there. You know the ones where you HAVE to promote their product? That’s your only choice because that’s all they show you how to do. Nope. I am not down with that. I promote Wealthy Affiliate because I really like it. And I want to spread the word because I truly feel it’s a great tool for people who need or want to make money online. But you can promote anything you like! Spend a lot of money on advertising? Make you chase people down and beg for sales? That’s the beauty of affiliate marketing. It’s not all about that. Instead, you learn how to attract people to you. And you can do it with completely free methods. Doesn’t that sound so much better? It is! Believe me, I’ve done it all!! Affiliate marketing has the most benefits for the least cost. I’m not saying Wealthy Affiliate is perfect. Who or what is? You gotta have room to improve, right? Let’s talk a little about the Pros & Cons. Teaches you step-by-step how to create an online business through affiliate marketing. Excellent for beginners and those with experience. There’s always new information to learn, and the weekly trainings keep you up-to-date on the latest trends. You have access to ALL past trainings. Everything you need is all in one place. Training, website building, website access, support, chat, etc. SSL & private domain registration included (these are generally extra at other sites). Someone is always around to answer any question you may have. THE best place to learn affiliate marketing. You can sign up for a free membership (no credit card required) and see if you like it. You can stay a free member for as long as you want. It takes time to get a website up and running, ranking and making money. Many people who join are under the impression that this is something that happens much quicker than it actually does. As long as you’re realistic, this will work for you. There is a cost associated if you want to go Premium. However, it’s an investment in yourself and your business. Every successful person I’ve ever listened to has said that it’s important to invest in yourself and in training. But, you do have the option to stay as a Free Starter Member for as long as you want. It’s not completely recommended if you want to really succeed at this, but it’s 100% your choice! There is a ranking system within Wealthy Affiliate that really doesn’t make much sense to me, to be honest. You can see that I’m in the top 200. This is because I’m fairly active on Wealthy Affiliate. 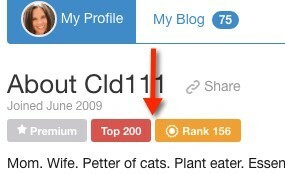 You get points when you help others, create blogs within the system or generally just participate within the community. The thing is, being a top-ranking person doesn’t mean anything about how good you are at affiliate marketing. And, it can be distracting. There are times when I think “Oh, I need to make a WA blog post.” when instead, I should be working on my website! It’s a nice concept, but I don’t think it totally works. There is a LOT of gems hidden within Wealthy Affiliate. Finding those gems is not always easy. Their search functionality could use a little help. Overall though, this training WORKS. Online Entrepreneur Certification. This is where everyone starts and where you’ll learn how to build a profitable website step-by-step. Affiliate Bootcamp. Since Wealthy Affiliate also has an affiliate program, this is a training to learn the best ways to promote Wealthy Affiliate. This isn’t something you have to do, but it’s additional training you can take if you’d like. My Training Activity. You can see the different trainings you’ve taken. Training Headquarters. Where you can search for a specific type of training. Let’s say you want to learn how to use video marketing. You can find that here. Classrooms. Different training topics put together from members of Wealthy Affiliate. Site Manager. Manage all of your websites here and check the health of them. Wealthy Affiliate keeps tabs on how your sites are doing at all times. They monitor viruses, hacking, site performance and more! Site Builder. This is where you can build a website. They said it takes about 30 seconds. When I first read this, I said to myself “There’s no way!” But when I did it, I think it took even less time. They make it extremely easy. You have 3 options here. You can use a Wealthy Affiliate free domain (good to start with, but not great long-term), a domain that you own, or you can register a domain right through the Wealthy Affiliate platform. You pick one of those options, pick a theme within WordPress, push a button and you have a site! Site Domains. This is where you can easily find and register a domain for your site. Site Content. This is fabulous! This is a place where you can write content for your site. 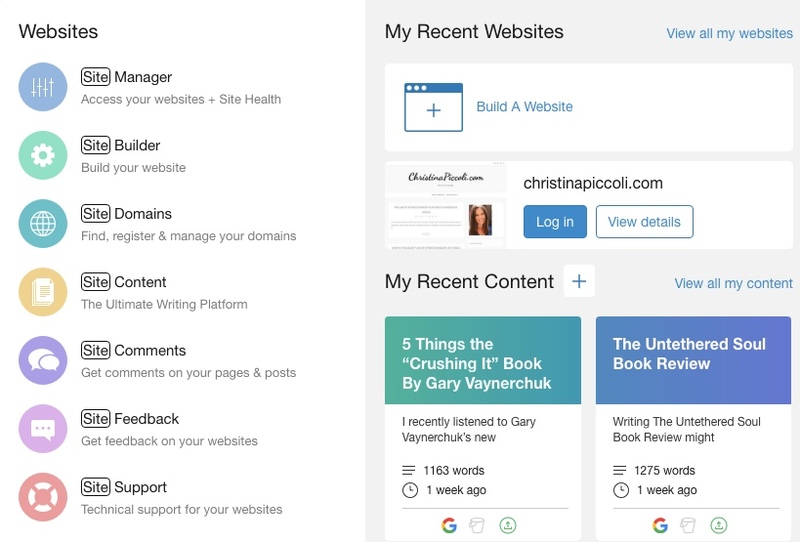 You can use templates and have certain writing goals that Site Content will keep track for you. You can also spell and grammar check and check for duplicate content here. Then, just push a button to post directly to your website. Site Comments. Having comments on your site is really important. Here, you can ask for other Wealthy Affiliate members to leave comments on your site, and you can also provide comments to others. Getting comments has been one of the most helpful things about Wealthy Affiliate and the main reason why my sites are ranking. Site comments are super important! 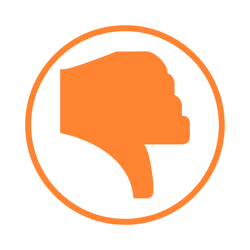 Site Feedback. 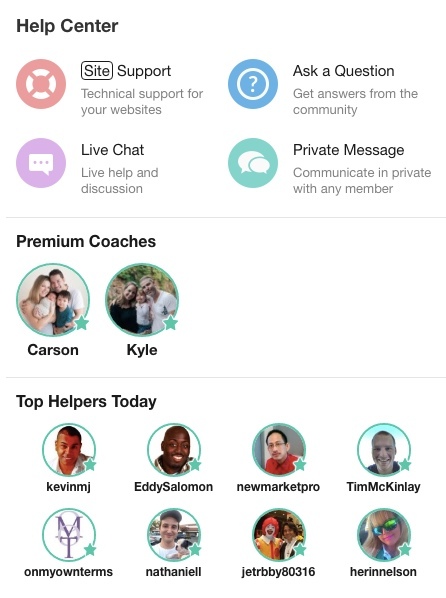 You can request feedback on your site from other Wealthy Affiliate members. 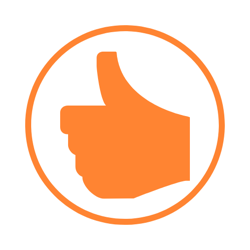 You can also gain more credits for this feature by offering feedback to others. This is a great system! Site Support. Need technical support? This is where you go to submit a ticket. Live Events. Besides community support, this is my absolute favorite thing about Wealthy Affiliate, and worth every penny, in my opinion. Every week on Friday, one of our members, Jay (member name magistudios) does a training on a topic. This past Friday was Finding and Leveraging Lucrative Affiliate Programs. As if the step-by-step training at Wealthy Affiliate wasn’t enough, these weekly in-depth trainings are extremely helpful. I have learned so much from them. 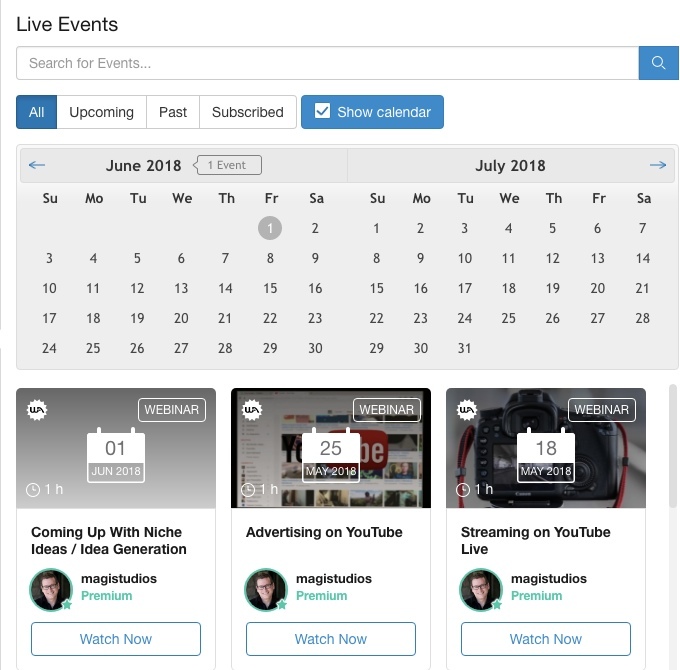 What’s great is that ALL of them are available for viewing in the Live Events section. I’m currently reviewing one from 2014 and it’s fabulous! Research. Research is KEY when you’re developing a website. You need to find a good niche (topic), then you need to find good keywords to target with your content. You can do all of that here. Site Rank. You can check how your site is doing on Google, Yahoo and Bing. 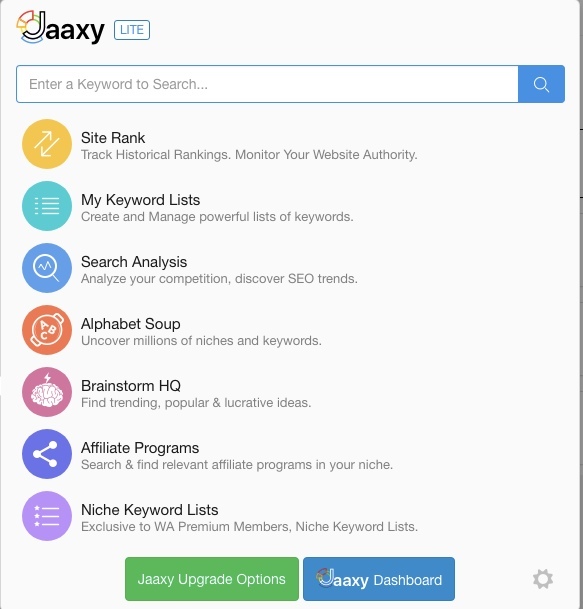 You get 100 free searches with the free version of Jaxxy, Wealthy Affiliate’s keyword tool. My Keyword Lists. This is where you can save keywords that you’ve found. Whenever I find a good keywords to use, I can save it into a list. I organize my lists by different things like Program Reviews or How To’s. How do you find good keywords? It’s all in the training! Search Analysis. This is where you can type in a keyword and see the top listings for that keyword in Google, Yahoo and Bing. This gives you an idea of how keywords are ranking and what the sites that are ranking for those keywords look like. Then, you can try to get in there and beat the competition with a better article. Alphabet Soup. This is a tool that will give you lots and lots of keyword ideas. Lots. Brainstorm HQ. This is an awesome tool that shows you what’s popular right now. 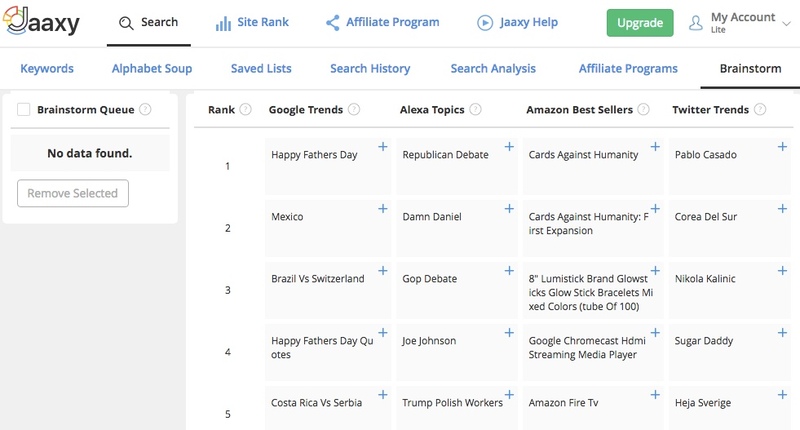 It pulls information from Google Trends, Amazon’s Best Sellers, Alexa topics and Twitter Trends. This can help you focus on popular keywords. Niche Keyword Lists. This is where you group a specific niche’s keywords together. Let’s say your niche is Japanese toilet seats. You can put all of your keywords related to this niche here. Live Chat. Get help right away from other Wealthy Affiliate members. Help Center. All the help resources you can use are right here. We already went over SO many things that Wealthy Affiliate offers. But there is even more. You can write a blog. This allows people within the community to follow your progress. But because Wealthy Affiliate is a huge authority site that ranks very well in all of the search engines, it’s another way to get rankings and eyes to your content. You can also read other people’s blogs for inspiration and for other tips and tricks. You can be a part of Wealthy Affiliate’s affiliate program. Here’s where you can set up your tracking links, monitor your clicks and commissions, get banners (like the one I have way at the top of this post), see your referrals, etc. I love being a part of this program because I think Wealthy Affiliate is THE place to learn how to earn an income working from home. So, I love to tell people all about it. It’s just another stream of income if you so choose to use it. Notifications and Private messages. Wealthy Affiliate will notify you any time you have a new notification (like a reply to one of your posts) or a private message. 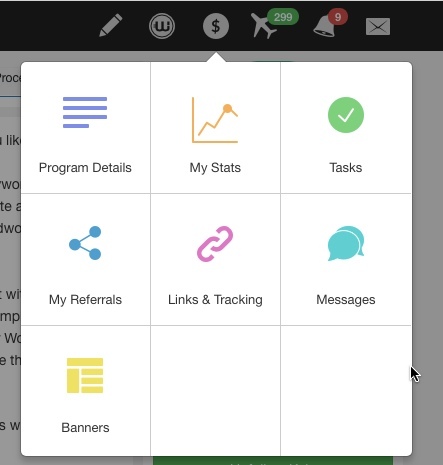 You can also choose to receive emails alerting you to replies and private messages. 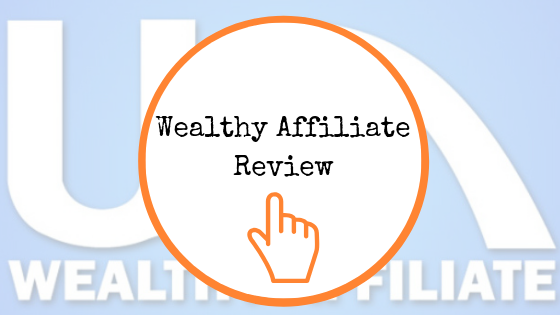 What is the Cost of Wealthy Affiliate? What’s great is that you can start out as a Free member and try things out. I actually encourage this because affiliate marketing may not be for everyone. Try it before you buy it and see what it’s like. There’s no credit card required! What’s great is that this isn’t a trial. This is a membership. You can stay a Starter Member for as long as you like. When you sign up for a Starter Membership, you’ll be given 7 days to access all the Premium features. That way, you can really get a feel for everything that Wealthy Affiliate has to offer and see if it’s right for you. Or, instead of the monthly price, you can pay a whole year up front. This not only saves you money, but it makes you committed. You will likely need to dedicate an entire year to this business to really make it work. Sorry to be a bummer, but I’m telling you, those get-rich-quick guys are just wasting your time and money. Dedicate yourself for a year and see what you can do. You’ll be amazed! The yearly membership is only $359. That’s $229 less than if you paid monthly. This comes out to less than $30 / month. Remember that hosting is included. Hosting itself can cost up to $20 a month. Plus, I don’t know about you, but the less monthly bills I have, the better! I like to just pay it and get it out of the way. But whichever way you decide it totally fine. It’s up to you and what makes sense for your life. 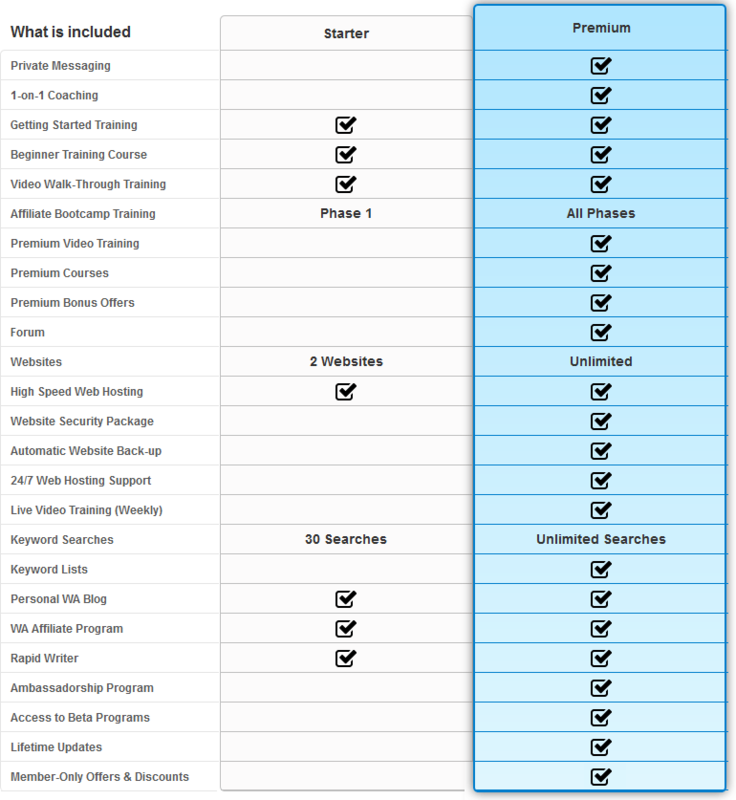 Here’s a comparison chart of what’s included in the Starter Membership versus the Premium Membership. Again, I recommend using the free membership first and checking things out. If you think you’ll like affiliate marketing and it’s something you want to pursue, then definitely take advantage of the Premium Membership. It is so, so worth it. I have been having great results ever since I rejoined Wealthy Affiliate. Results are what matter. Without results, then you have nothing. Wealthy Affiliate gets you results. In Napoleon Hill’s Think and Grow Rich, he talks about how important is to have a Mastermind Group. A Mastermind Group is a group of people with similar interests and goals. This group pushes you forward and helps you succeed. There are thousands and thousands of people at Wealthy Affiliate. Some are top affiliates, some are just starting out. But they all have one common goal. To succeed in the affiliate marketing business. Wealthy Affiliate IS the ultimate affiliate marketing Mastermind Group. Can you imagine how powerful that is? Well, imagine no more. Click the button below to see for yourself. Just Click On The Button to Give It a Whirl! Leave me any questions or comments about Wealthy Affiliate below. I’ll be happy to get back you you! This is a great review! Infomation you`ve provided are straightforward and easy to follow. Thanks for sharing. Great! I’m glad you enjoyed it. Thanks for stopping by. Great review! You mention all the important points. I have been a member for over a year and I love it. I especially like the collaboration among the community and support you receive, no matter what level you are on the learning scale. You learn something new every day. You are correct: WA is indeed a Mastermind Group. If you are committed, it’s totally worth it! I’m glad you enjoy Wealthy Affiliate as much as I do! I hope that people see that the community comes out and supports you by posting comments on your site. Within Wealthy Affiliate, they may also help you by posting helpful suggestions to make your site better. It truly is a fabulous resource. I’m glad you didn’t quit and you’re continuing on! I have quit before, and all that did was waste time. None of this is hard with the right training, but you do have to be consistent and put the effort in. I’m glad you are seeing the benefits of Wealthy Affiliate and I wish you continued success! I think you have convinced me. I have been on the fence about Wealthy Affiliate, wondering if it was the right choice for me. As I read through your webpage, I can see how the training would make it possible for even me to make money. Thank you for the easy to read, easy to understand walk through Wealthy Affiliate. Thanks for stopping by, Clay! You can absolutely make money as long as your expectations about when that will happen are realistic. It won’t be in the first week. Maybe not even the first month. But it’ll happen if you stay consistent and keep working at it. Best of luck to you! Hey Christina, you convinced me to join Wealthy Affiliate, so I joined it as a free member. But I’m not finding anything except the messages to upgrade. Plz, tell me how to access the Starter pack(free pack). I’m a complete newbie, so plz help me out. 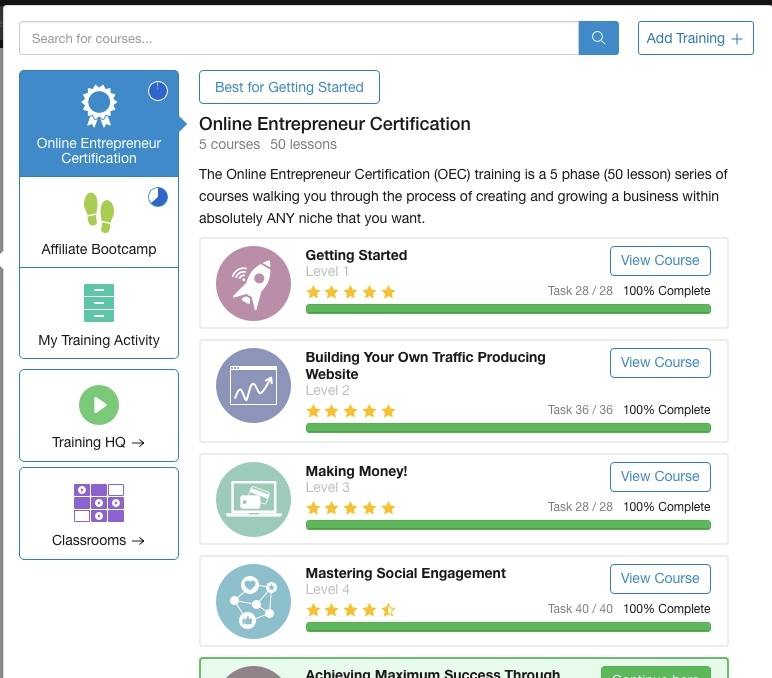 You can also go to the left navigation and go to Training –> Online Entrepreneur Certification –> Level 1. Also, I have a free 5-day email course that walks you through that training, if you’re interested. You can sign up on my homepage.